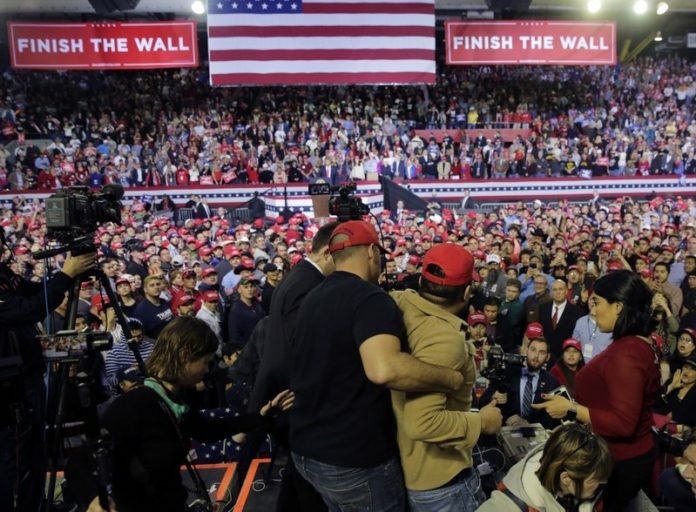 The White House Correspondents’ Association condemned on Tuesday an attack the night before of a television cameraman working at President Donald Trump’s rally in El Paso, Texas. Knox said the president should make clear to his supporters that violence against reporters is unacceptable. There was a brief scuffle on a press platform away from the stage on Monday night, when a man began shoving members of the news media and was restrained. “We ask that anyone attending an event do so in a peaceful and respectful manner,” Sanders said. Eleanor Montague, the Washington news editor for the British Broadcasting Company tweeted that BBC cameraman Ron Skeans was attacked at the rally and is doing fine. She said the crowd “had been whipped up into a frenzy against the media” by the president and other speakers. Republican Sen. Ted Cruz of Texas and Donald Trump Jr., were also among the speakers at the rally, which focused on border security. Previous articleWhat Is 5G Wireless And Does It Matter To You?